So IMO either MS has a s/w library that allows them to emulate the Power PC architecture on Jaguar or MS is rebuilding these games as x86 native apps. I'm leaning towards the latter and would suggest that this program will go the way of OG Xbox compatibility and be a limited list of titles but happy to be proved wrong. So how do folks think MS are pulling this off? So IMO either MS has a s/w library that allows them to emulate the Power PC architecture on Jaguar or MS is rebuilding these games as x86 native apps. I'm leaning towards the latter and would suggest that this program will go the way of OG Xbox compatibility and be a limited list of titles but happy yro be proved wrong. The way I understood, you put the disc in, the X1 will download the game and you play. So they must be going through games and remapping them for the X1. It's not emulation and they're not remakes, so no work done by developers. I think it are Software patches. So no Hardware compatibility. But a really really great Thing and a real game changer. 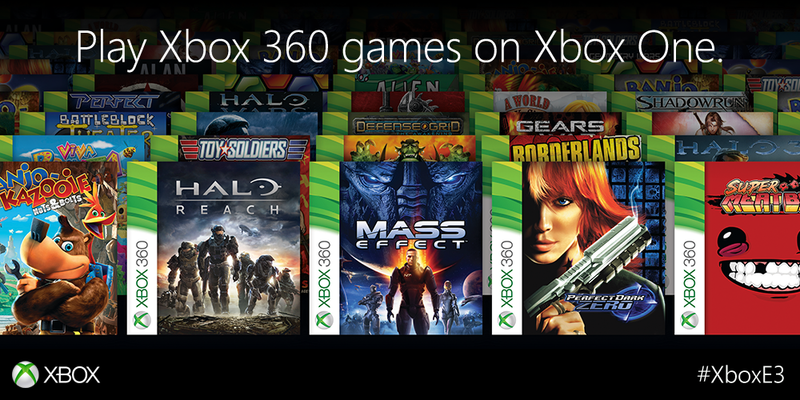 So they can still sell xbox 360 games for the one. This is the thing, what is 'remapping'? I know 'refactoring' which is a major job that means you have to scour through your code for any ISA or architecture tricks that are PPC specific and swapping them out for equivalent x86 stuff. Look at the state of x86 -> PPC emulation last go around it was a long way from covering all of the OG Xbox titles. If this is a 'refactoring' job then I can't see this going that far. If it's emulation then they have a better chance of broader compatibility but the Xenia emulator suggests this isn't possible on the resources in XB1 (or PS4). Emulate with VM where possible, and recompile the rest. Similar to Xbox games on 360.
major nelson : "Re Xbox One Back Compat: Game developers just need to approve titles showing up. Preview members will get it later today !" "Spencer also clarified that this is not a developer-dependent process; Microsoft will take care of most of the heavy lifting. All a developer needs to do is give Microsoft the OK, and the company's game will show up on the Xbox One. In theory, this should make the vast majority of Xbox 360 titles available on the newer platform"
That makes me think there's no actual emulation - or even backwards compatibility - involved. Could the XBone be simply downloading a custom version of the PC port? The XBone should be able to run DX9 titles without a hitch.. I think they recompile binaries on server and replicate 360 APIs on XO like Wine does on Linux for Win apps. No recompile. MS does not have the code. GPU shouldn't be that hard (maybe because of some missing fixed function stuff) but the CPU. PowerPC wasn't that fast, but in some situations with optimized code.... I wouldn't think that it would be possible with the xbox one cpu. GPU shouldn't be that hard (maybe because of some missing fixed function stuff) . Does this mean I get to play Halo: Reach and Gears 3 online with my buddies who refuse to buy an XB1? If so, great! Because the disc tray on my 360 is fucked and my controller is broken. Xbox live xbox360 to xbox one (360 title) is possible, they announced that. that Quote was about original xbox support. This box had an NVidia chip in it. with the ATI/AMD chip it shouldn't be that hard. Except for the fixed function units that are now parts of the general purpose "units". Shoujoboy and FarticusMaximus like this. After having seen the underwhelming list, wait and see I guess. Didn't they announce back then that every XB1 could be a devkit? Lucid_Dreamer and Nesh like this. "What we did was essentially built a virtual Xbox 360 console entirely in software. So when you launch a game via Xbox One Backward Compatibility, you'll see that the game first starts up a virtual Xbox 360 console, then launches the title. The work is ongoing as each title requires individual packaging and validation work to enable that virtual console capability, but we're committed to continually rolling out new titles each month." shredenvain, Cyan and AzBat like this. DSoup, Shoujoboy, BRiT and 1 other person like this. Ah yes, of course. Thanks for replies brother! Much appreciated. I can't wait for this. This is a another Phil Spencer lesson to everyone, and specially those mediocre people behind the Xbox One initial idea.